Florentine Villas are a much sought after Marco Island real estate because of their great island location. Situated at the south end of the island, residents here enjoy a subtropical climate year long and they can go to the beautiful white sandy beaches of Marco which is just a couple of blocks away. This Marco Island property was built 1982 at 1020 Swallow Avenue, and it is made up of a single building with 3 floors and a total of 8 units. With such a few number of residences, this guarantees Florentine Villas to be a tranquil, intimate and peaceful hideaway. And with living spaces that measure 1524 square feet, you’re in for a spacious and relaxing treat and it becomes more evident that this condo complex was thoughtfully designed with space and privacy in mind. Each unit has 2 beds and 2 baths, and all residents have access to the amenities which include barbecue and picnic areas, elevator, heated pool, spa/hot tub, clubhouse, covered parking, extra storage, and car wash area. At Florentine Villas, apart from being able to enjoy the heated pool and hot tub all year long, you can also take part in all of the attractions the island has to offer. Visit the Everglades, watch dolphins, engage in watersports, tour the islands by boat, experience paradise and wildlife, or simply delight your taste buds with fresh seafood and local cuisine. If you value true privacy and the convenience of condo living more than anything else, Florentine Villas can meet and exceed your expectations and so much more. Beachview 185 S Collier Blvd., Marco Island, FL 34145 1977 80 30 Days 467 1- 15lbs. Bougainvillea Gardens 1021 Swallow Ave., Marco Island, FL 34145 1990 15 30 Days 528 1 - 15lbs. Casa de Marco 1041 S. Collier Blvd., Marco Island, FL 34145 1982 27 30 Days Contact Us 1 - 10lbs. Caxambas South Beach 900 S. Collier Blvd., Marco Island, FL34145 2003 15 7 Days 522 1 - 20lbs. Coquina Gardens 1047 Hartley Ave., Marco Island, FL 34145 1967 24 30 Days Contact Us 1 - 25lbs. Court of Palms 781 W. Elkcam Cir., Marco Island, FL 34145 1987 24 30 Days 507 1 - 20lbs. Forest Glen Loblolly Bay Dr., Naples, FL 34114 2001 991 30 Days 315 2 - 40lbs. Island Village 554 Tallwood St., Marco Island, FL 34145 1989 14 30 days Contact Us 1 - 30lbs. Lesina 1050 Borghese Lane, Marco Island, FL 34145 2006 116 30 Days 1117 - 1351 2 - 25lbs. Mainsail 1345 Mainsail Dr., Marco Island, FL 34145 1990 184 30 Days 300 - 384 1 - 15lbs. Mariner 27 Greenbrier St., Marco Island, FL 34145 1977 162 30 Days 350 1 - 15lbs. Mutiny of Marco 261 S. Collier Blvd., Marco Island, FL 34114 1979 35 30 Days 398 1 - 13lbs. Paradise Village 825 W. Elkcam., Marco Island, FL 34145 1988 16 7 Days 433 1 - 10lbs. Provence of Marco 1885 San Marco Rd., Marco Island, FL 34145 2001 32 7 Days 585 - 702 Up to 50lbs. San Marco Villas 1367 San Marco Rd., Marco Island, FL34145 1992 - 1985 138 30 Day 338 1 - 15lbs. Sands of Marco 129 S. Collier Blvd., Marco Island, FL 34145 1990 128 30 Days 449 1 - 15lbs. Seawatch 209 S. Collier Blvd., Marco Island, FL 34145 1977 80 30 Days 365 1 - 15lbs. Southern Breeze 1141 S. Collier Blvd., Marco Island, FL 34145 1991 28 14 Days 550 1 - 20lbs. Surfwalk 1001 S. Collier Blvd., Marco Island, FL 34145 1989 15 1/Qtr 608 1 - 15lbs. Townhouse Square 1101 S. Collier Blvd., Marco Island, FL 34145 1981 50 30 Days Contact Us 1 - 20lbs. Tropicana 951 S. Collier Blvd., Marco Island, FL 34145 2004 15 30 Days 605 1 - 20lbs. Village at Smokehouse Bay 840 Elkhorn Ct., Marco Island, FL 34145 1988 52 30 Days 477 1- 15lbs. Vintage Bay 133 Vintage Bay Dr., Marco Island, FL 34145 1996 - 2005 132 30 Days 503 2 - 30lbs. Wexford Place 465 Bald Eagle Dr., Marco Island, FL 34145 1969 16 30 Days 425 1 - 25lbs. or 17"
Unfortunately we have No-Pets policy in Florentine Villas. The minimum rental period in Florentine Villas is 30 days. 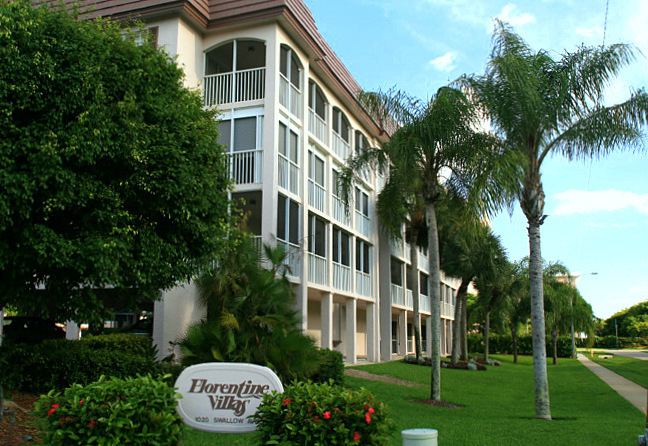 A perennial favorite, Florentine Villas condos are very easy to rent all season long. There are three different floor plans in Florentine Villas. They are all two-bedroom plans. 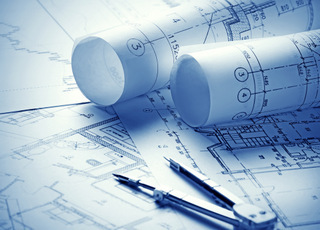 Click here to see all Florentine Villas floor plans.